Dear Reader, There is good news for you ahead of the big IBPS exams that start in 4 months. At this time when you are preparing for the upcoming IBPS RRB, PO and Clerk exams, here is an announcement by RBI for Grade B officer openings. The recruitment is for 3 job roles. For about 145 posts in ‘Officers Grade B (General),’ all bachelor degree holders are eligible. For these posts, you should have scored a minimum of 60% in all Bachelor’s degree, 12th (or equivalent) and 10th examinations. Also, your age should be between 21 and 30 years. If you want to know about the detailed eligibility and other requirements for all the 3 roles, do this: Go to the official website http://opportunities.rbi.org.in, visit “Vacancies” tab and check the notification. The exam will consist of two phases. Phase I (prelims) on June 17 and Phase II on July 7. As you can see, the syllabus for Phase I is similar to that of IBPS and SBI exams. Therefore, if you are preparing for the upcoming IBPS exams, you can try your best at RBI Phase I. For Phase II the syllabus will consist of Economics and Social Issues, English and, Finance and Management. To know about the application procedure, go to the official website http://opportunities.rbi.org.in, visit “Vacancies” tab and check the corresponding notification. Dear Reader, RBI Grade B exams start in 1 month (June). IBPS Exams 2017 are beginning in 4-5 months from now (RRB in Sep and PO in Oct). Prepare fast and well to make use of the big opportunities. All the best. 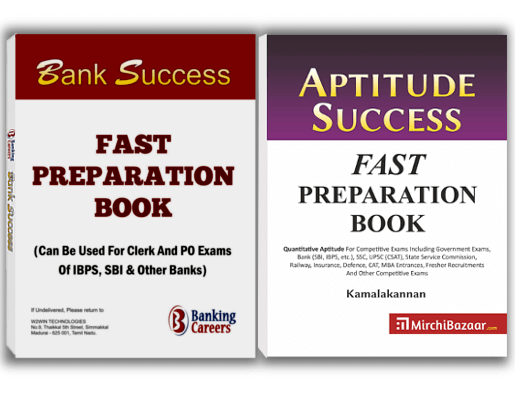 If you want to both prepare fast as well as score well in all banks PO & Clerk exams, then Bank Success Book is a good one. This book contains 1100 important questions based on past 3 years. You will find step-by-step solutions by 5+ year experienced trainers. You can very well complete this book in approximately 4 weeks time. See complete details & order your book, today! 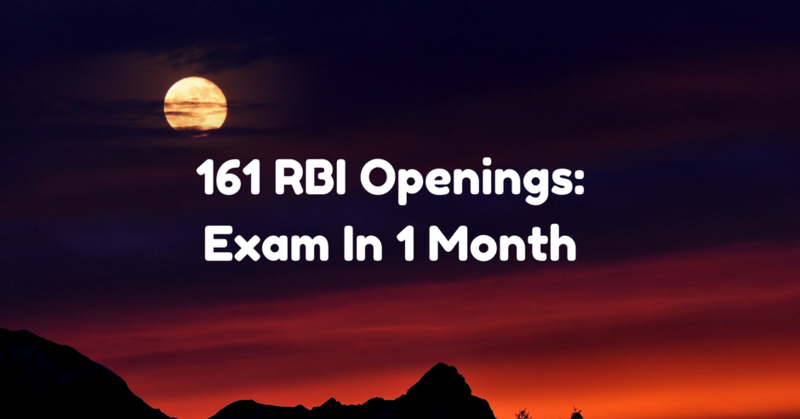 Share on Facebook"161 RBI Openings In 1 Month, Ahead Of 3 Big IBPS Exams"